"Explorations in Theology and Film brings together theologians, biblical scholars, film and media specialists, and experts in language and literature to consider the potential of films contribution to contemporary Christian theological discussion. The main focus of the book is on the creative conversation between film and theology in the contemporary West, and it raises crucial questions about the interaction between theology and culture." Explorations in Theology and Film will be an invaluable resource to students and those researching in the areas of theology and religion as well as media and cultural studies. 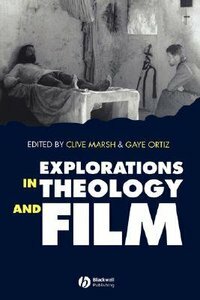 About "Explorations in Theology and Film"
David Marsh is Professor in the Department of Political Science and International Studies at the University of Birmingham. The Uses Of Film In Theology, David Graham. Part 2: "the Terminatar"
Optimism, Hope And Feel-good Movies - The Capra Collection, Stephen Brown.